Restorative Justice, with its emphasis on identifying the justice needs of everyone involved in a crime, is a worldwide movement of growing influence that is helping victims and communities heal, while holding criminals accountable for their actions. This is not soft-on-crime, feel-good philosophy, but rather a concrete effort to bring justice and healing to everyone involved in a crime. 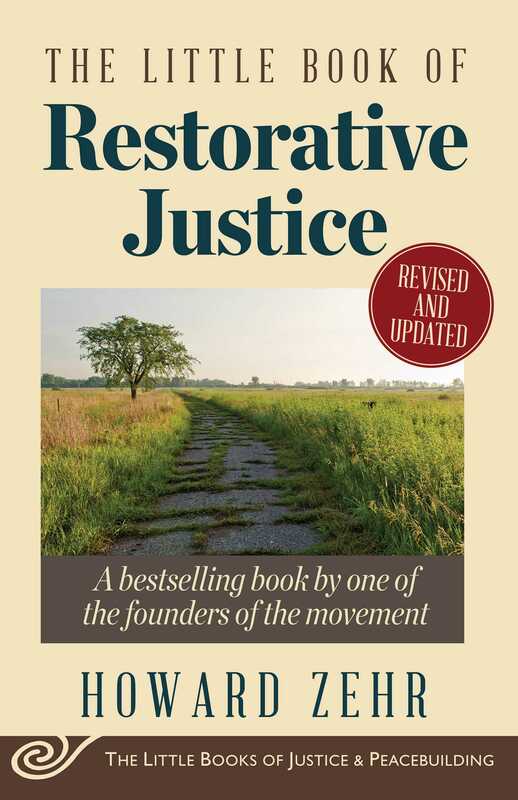 In The Little Book of Restorative Justice, Zehr first explores how restorative justice is different from criminal justice. Then, before letting those appealing observations drift out of reach into theoretical space, Zehr presents Restorative Justice practices. Zehr undertakes a massive and complex subject and puts it in graspable from, without reducing or trivializing it. This resource is also suitable for academic classes and workshops, for conferences and trainings, as well as for the layperson interested in understanding this innovative and influential movement.